Australian Women Can Get The Abortion Pill Via Phone Call Now, But Could That Ever Happen In The United States? According to The Sydney Morning Herald, Australian women can now order the abortion pill via phone. A private organization, the Tabbot Foundation, will connect women to doctors authorized to prescribe RU486 through a 1-800 number, deliver the drug to their doorstep, and organize ultrasounds and blood tests in person at local clinics. This landmark policy will expand access to abortion services for Australian women at the same time pro-life American politicians seek to limit options for women in the United States. Unfortunately, it is unlikely that this kind of "telemedicine" service will be available stateside any time soon. Australian law, just like the United States, is influenced by a conservative faction called "Right to Life" that is seeking to limit women's accessibility to abortion, primarily for similar religious reasons. RU486 is only applicable to pregnancies less than 7 weeks along, and a screening process with a doctor over the phone rules out candidates with health problems, including women who experience severe periods. 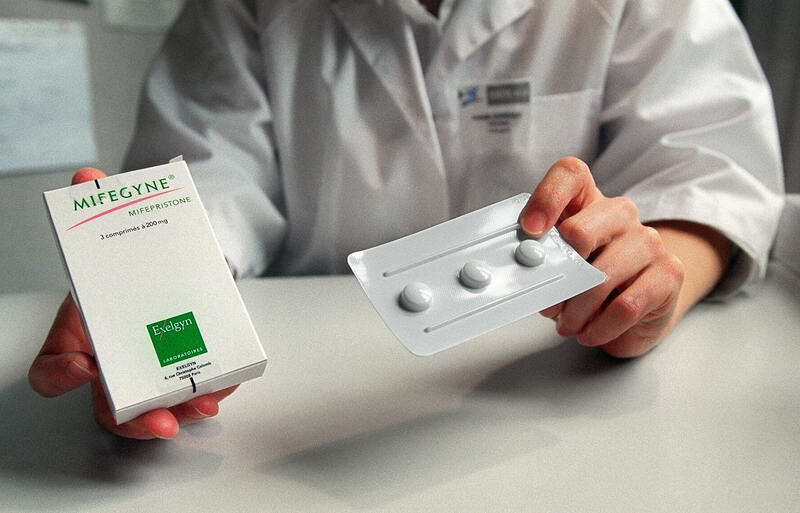 The abortion pill will not be available by phone in certain parts of the country, including South Australia, the Northern Territory and the country's capital, Canberra, as laws in these areas enforce stricter abortion policies. For those residing in areas where the service is legal, the fee will be only 250 Australian dollars, about $175 in American currency. This would be a great option for American women, many of whom live far from a clinic or Planned Parenthood center, or in a state that is rapidly limiting reproductive options for its female citizens (here's looking at you, Texas). The service is anonymous, so women would not need to risk possible embarrassment to secure abortion services. The phone service is instantaneous, and doorstep delivery within days makes securing the drug private. Affordability is another huge bonus. The phone service cuts out the extra fee of a doctor's visit, especially for those without insurance. According to the Tabbot Foundation, which was founded to provide pregnancy termination options to women across the country, the service could cut the price of an abortion in half for Australian women. Could this be a feasible option for American women? Possibly. Americans already enjoy a limited "telemedicine" service through such sites as Teladoc. Patients can call the service or use a webcam to virtually consult with a licensed doctor, who can then prescribe medication for non-emergency problems such as the flu, bronchitis, or skin infections. Abortion services are not currently legally accessible through Teladoc, as they remain more strictly governed by individual states. If a service like the one Australia has implemented were made available in the U.S., state restrictions on abortion availability would undoubtedly apply. Moreover, on the federal level, conservative politicians in this country, many fueled by pro-life religious beliefs, have made it their personal agenda to block accessibility of reproductive healthcare to as many women as possible. The attempted government shutdown over Planned Parenthood funding is one example of this. Undoubtedly, if a bill to legalize and fund abortions over the phone or Internet were to enter Congress, pro-life Republicans would do their best to smother it. On the question of whether a telemedical service to provide abortion will ever be available to American women, some more hopeful than I will probably say: Who knows? Only a few short years ago, American women had to see a doctor or pharmacist to buy Plan B. Now, the pill can be found on drugstore shelves across the country, providing women with an option for emergency birth control. But even distribution of Plan B has been fraught with complications since its over-the-counter legalization in 2013, including some pharmacies' unwillingness to display the drug and select states' imposition of an age minimum to purchase it. The result has been years of legal battles between states and the federal government at a huge cost to the well-being of American women who still lack access to reproductive health choices. If the implementation of accessible emergency birth control has been so complex in this country, one can only imagine how impossible it would be for lawmakers to extend abortion services to those who cannot go to a clinic or doctor. Perhaps one day, arranging an abortion in the U.S. will be as simple as dialing 1-800-Contacts. It's possible now in Australia, after all. But given the high level of politicization of women's healthcare in this country, the current political climate in Washington D.C., and the powerful influence of the religious right-wing, the option may not be available to American women for a very long time, if ever.